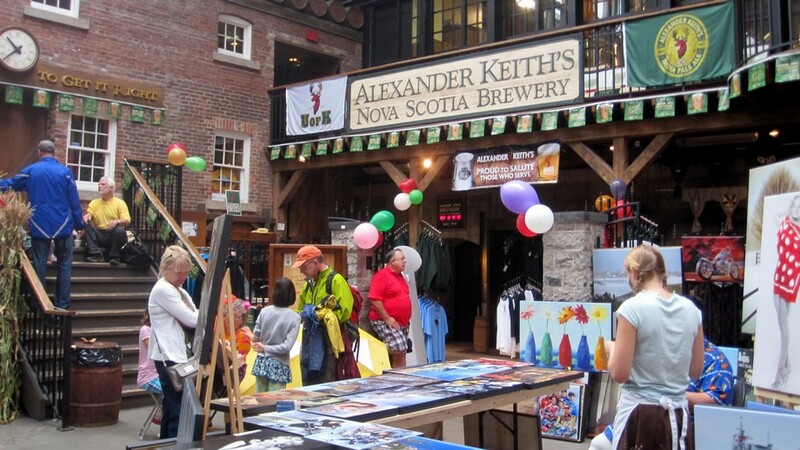 Founded in 1750, the Halifax Farmers' Market is the oldest continually operating Farmers' Market in North America. Located inside the Alexander Keith's Brewery, the "Old" Halifax Farmers' Market (a new one opened just last month on the Waterfront) celebrated its 260th birthday on October 2, 2010. 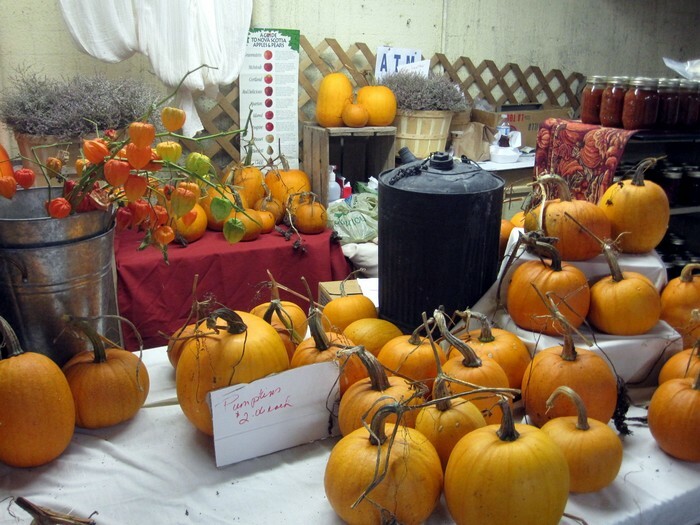 In honour of this momentous occasion, many of the vendors donned "period costumes". 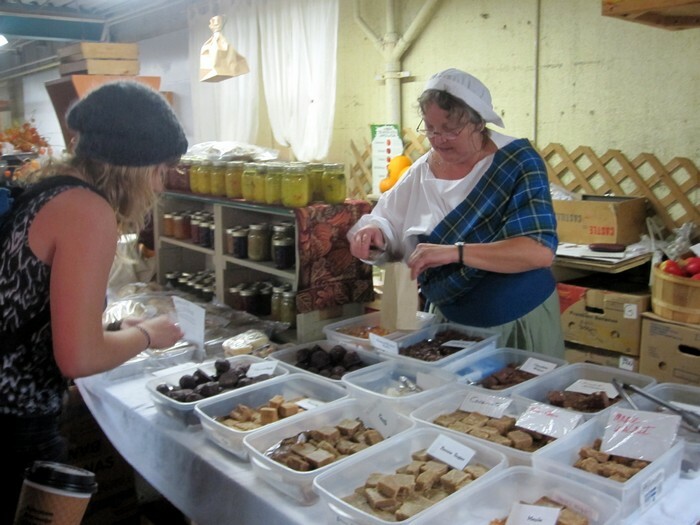 In the picture above a vendor sells some of her home-made fudge to an eager customer. Incidentally, the chocolate covered peanut butter balls in the front left corner were amazing, as was her vanilla fudge. Furthermore, this vendor also sold me the best tasting Jona Gold apple I have ever tasted, way back in May, just before I headed to Vancouver on the train. Fall is upon us, and with thanksgiving and Halloween coming soon, the pumpkins were out in full force. After I work through my backlog of potatoes, beets, and turnips I plan to buy a large one of these and live off of cooked pumpkin for a month. On this day though I appeased my hungry stomach by eating delicious samosa from a Greek vendor, triangle kimbab from a Korean vendor, and some sort of soft round moist bread-like patties from a South American (possibly? I'm not sure exactly where she was from actually) woman.